Eleaf iWũ Kit is so compact and portable. 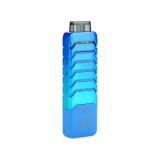 It comes with LED indicator that will show battery life and side refilling desigh to bring convenient vaping. No hesitation, just take it. Eleaf iWũ Pod Compact Kit, which is powered by built-in battery that has 700 to fire up to 15W, comes with 2A quick charge to save your time. 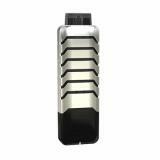 In addition, it adopts easy side refilling with no leakage to bring convenient vaping. The color light indicator will show battery life. Just take it. 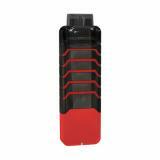 • Three-month warranty for iWũ Battery and cartridge. 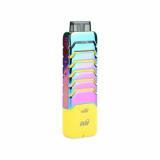 I ordered this Eleaf iWu All-in-One Pod after I watched reviews on youtube. Nice looking kit. My mom loves it and agrees to switch to vaping now. I am happy with the result. Highly recommend eleaf iwu to smokers. Not my style, but my girlfriend likes it. I have no complaint as long as she's happy. A little pod kit. Perfect for stealth vaping. The Dazzling color is sooo gorgeous. Recommend eleaf iwu to all pod system lovers. Eleaf iWũ Kit suitable for starters.Very easy to use! Perfect Kit for beginners. I've tried a few pods and this is definitely my favorite! It's a perfect size to fit in my wallet or pocket, and it's perfect for my hands, and it weighs almost nothing! It produces awesome clouds and flavors that never disappoint! Good little pod kit. I love the removeable shell design, it makes the pod look unique and also protected. Vape is good, charging is fast. Would recommend to all beginners. I love the color light indicator. It is really convenient and it will always remind u of the battery volume. Eleaf iWũ Kit is really beautiful. 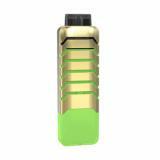 Small kit,the battery indicator light is very convenient.Like it ! It's definitely a good entry level vape kit for all beginners. It's easy to use and maintain. It gives decent flavor and vapor. The tiny size makes it perfect for stealth vaping. Highly recommend it if you wanna get away from stinky cigars. Love this cute pod. It's comfortable to hold and works good. I can get decent vapor and flavor. Eleaf always make good product. This iwu kit fits me well. I am really into my eleaf iwu. It functions well and have good appearance. Very fast delivery, good price. Would order again at buybest.